According to Maiuri, this was a modest dwelling, perhaps inhabited by a family of shopkeepers or artisans. The front part was used for the exercise of the business and the more private rear portion formed the living quarters. On one side of the entrance corridor is a simple workroom, IV.5, and on the other a shop IV.7. Cardo IV. 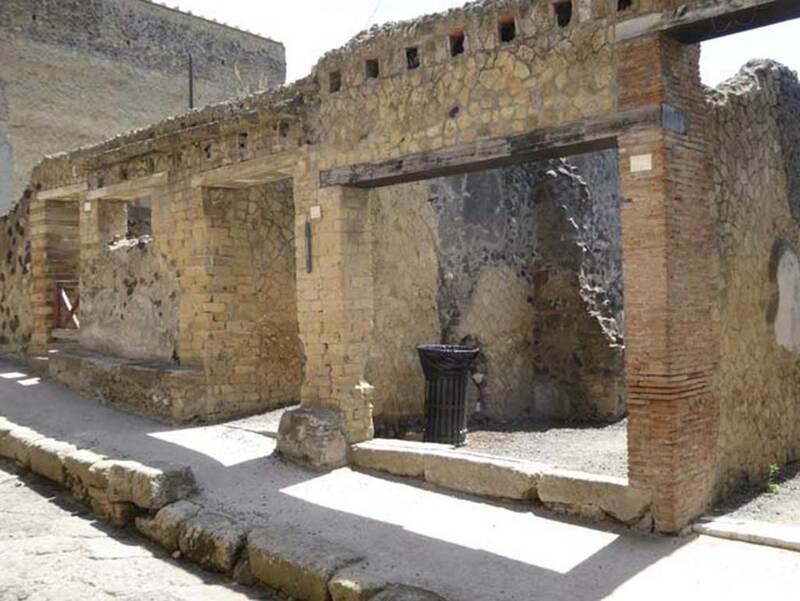 Inferiore, Herculaneum, September 2015. Looking north along east side, with doorways to IV.7 and IV.6, on right. 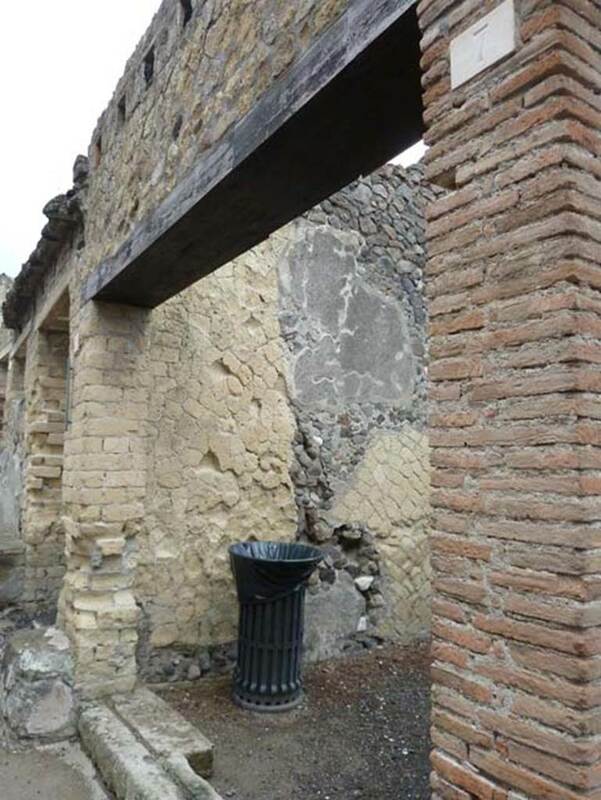 IV.7, Herculaneum, September 2015. Looking towards doorways to IV.7, in centre, and IV.6, on right. 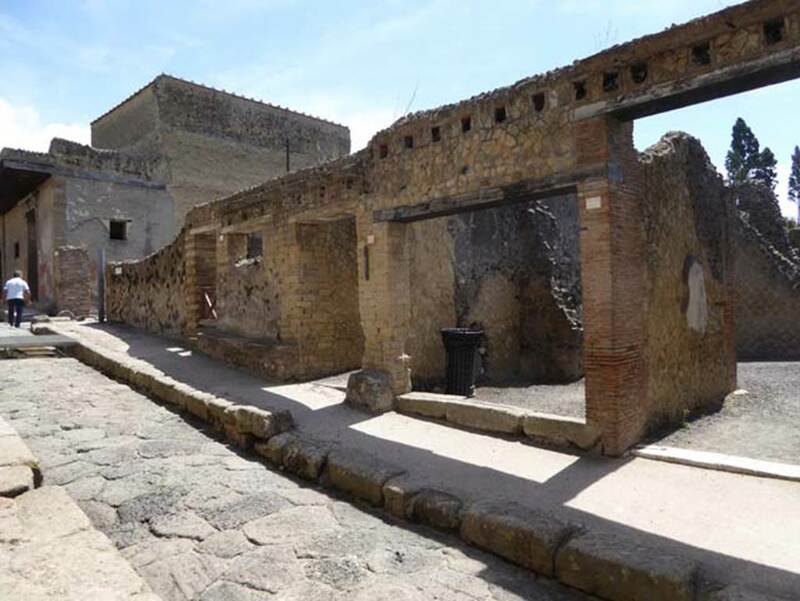 IV.7, Herculaneum, September 2015. Entrance doorway to shop.